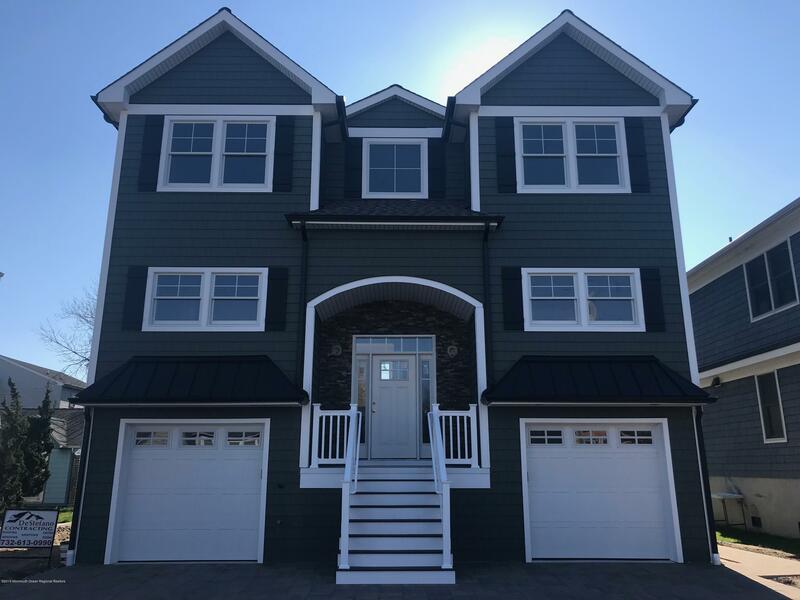 STUNNING NEW CONSTRUCTION in the desirable north end of Pt Pleasant Beach! This custom built shore colonial is a few blocks to the beach and close to restaurants in this sought after town! The flow of the open, airy floor plan will accommodate your every need with plenty of living space plus 4 bedrooms and 3 baths. The main living area features a spacious family room with 9ft ceilings, Hardwood floors and crown moldings throughout, gas fireplace, and a 35' deck with lake views, as well as a gourmet kitchen with a center island, and an open dining room. The master suite has a separate sitting room, walk in closet and bath. Built on pilings and compliant with FEMA requirements. Amazing opportunity to enjoy a fabulous lifestyle in this desirable coastal community.